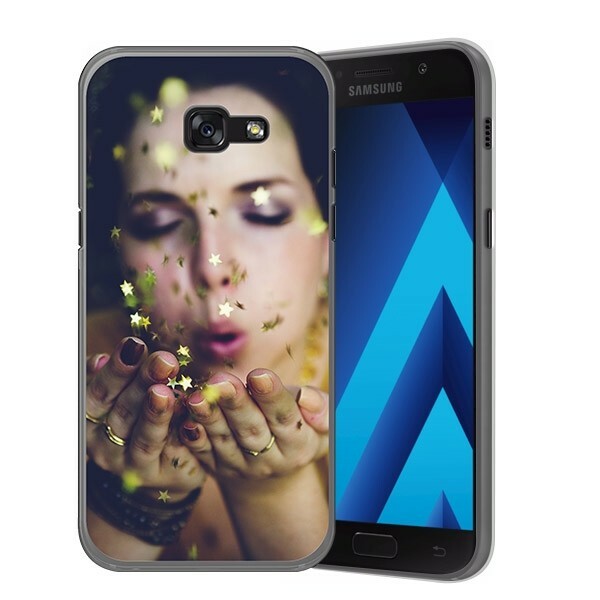 Create your own Samsung Galaxy A5 case design. Print your favorite photo on the back of the phone case. Note: Only for the A5 model from 2017! A new phone, a new style. Personalise a soft case for your phone in style so that your device will be well protected and stylish. The case is made of flexible plastic, which acts as a bumper for your phone. If your smartphone falls to the ground, the shock is absorbed by the cover. You can make your Samsung Galaxy A5 case as you want. The image that you choose will be printed directly on the back of the case. 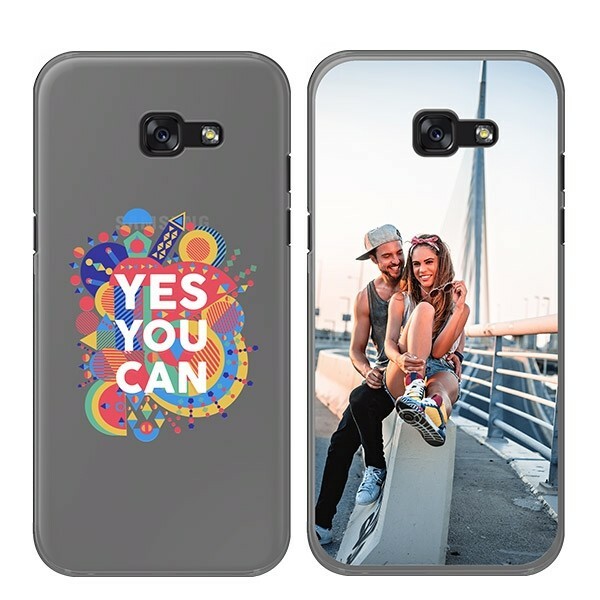 Designing your Samsung Galaxy A5 case is very easy. Want to know how? Then read on! How the Samsung Galaxy A5 case designs? Designing your own Samsung Galaxy A5 case is easy. Click the green "Start now” button above and you will be redirected to our customiser. The customiser lets you upload your favorite photos or best memories directly from Facebook, Instagram or the hard drive of your computer. Want to make a unique Samsung Galaxy A5 case? You can also choose to add text. You can drag the text you’ve written to the right place, so that it is printed on the perfect part of the photo. Are you done with the Samsung Galaxy A5 case? Then click "Add to Cart".